Disclaimer: I was provided complimentary tickets to a CT Sun game in exchange for an honest review. All thoughts and opinions expressed are my own. When most people think about basketball in Connecticut the first thing that usually comes to mind is UCONN. But UCONN isn’t the only basketball powerhouse in Connecticut. 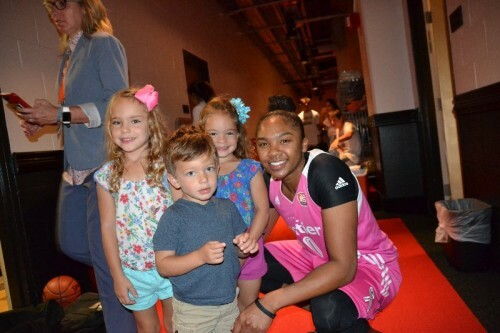 Did you know that we also have our very own WNBA team right here in Connecticut and they’re currently ranked number one in the eastern conference? 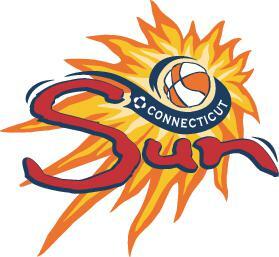 Our home team is the Connecticut Sun! CT Sun games are an affordable and exciting family-friendly activity especially during hot summer days. 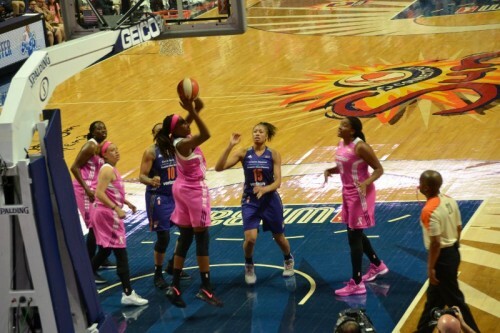 I recently got a chance to attend a home game where The Sun defeated the Phoenix Mercury. This win ensures that they’ll have a home playoff game. The WNBA season runs from May through August. There are only a few regular season games left for the 2017 season. Can’t make a regular season game? 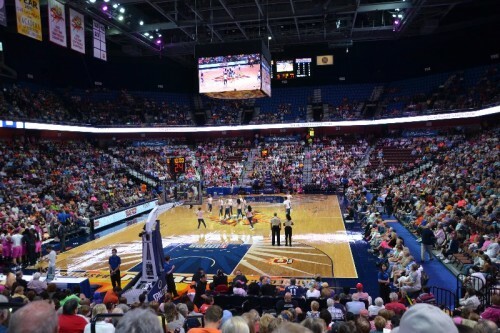 Don’t fret — The Connecticut Sun made the 2017 WNBA playoffs which means more opportunities to root for them at home! Tickets can be purchased online or at the Mohegan Sun Arena box office. Prices for tickets start at an affordable $14 (plus applicable fees) so it’s a fairly inexpensive professional sporting event. 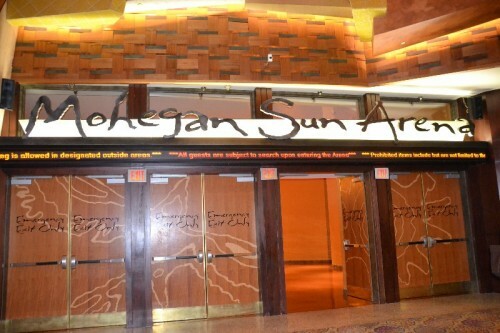 The Connecticut Sun play at the Mohegan Sun Arena. The arena is a great size for watching sporting events. It feels like you can see the whole game from almost every seat. The seats were pretty roomy and there was plenty of space to move around and stretch – which helped when the little ones started to feel antsy. I’m only a casual basketball fan but I can appreciate the athleticism displayed by the players. 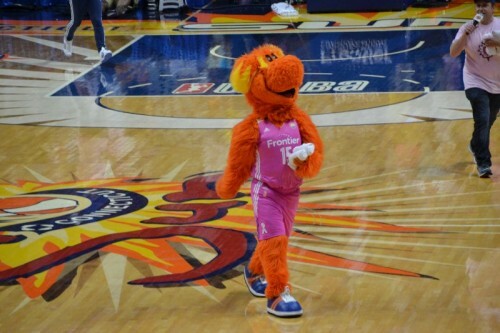 The Connecticut Sun has a great team with some real star players working together to hold on to their number one ranking. 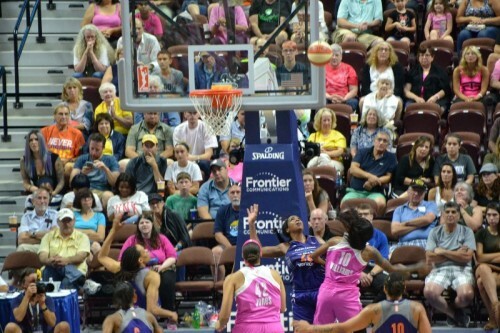 The game was fast-paced and exciting as they defeated the Phoenix Mercury. I was pleasantly surprised to see so many dedicated fans filling the stands and rooting for the home team. This was my first time bringing my kids (ages 3 and 5) to a professional sporting event. I was really excited for my kids to see the a professional basketball players. I had no idea how my kids were going to behave. I was simply hoping that we weren’t going to have to make a quick exit because of someone’s meltdown. Things began to look a bit questionable when only 2 minutes into the game my 3-year-old asked what we were going to do next. Thankfully, snacks and the energy of the crowd kept everyone engaged. Everyone goes out of their way to make the game really entertaining for families. There was a lot of action in and around the court. The dancers, mascot and shows during the breaks kept my little ones entertained throughout the game. The high scoring kept us rooting for more! 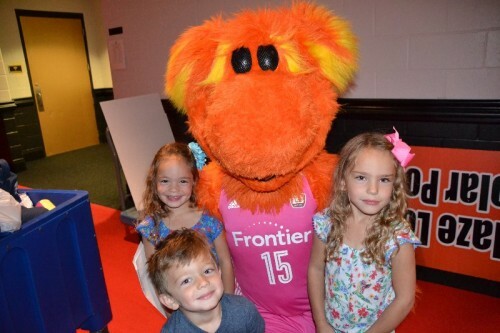 We had a wonderful time at the Connecticut Sun basketball game. It’s a great family-friendly activity full of great athleticism and some super fans. 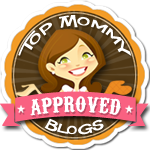 I always try to encourage my children, especially my girls, that they can become anything. I love being able to share powerful women with them who they can look up to. I hope my girls found watching The Sun play (and win) a reminder that girls can accomplish anything.